24 Aug Filed under Fashion, Nokia, Sister Stephanie Quadri. 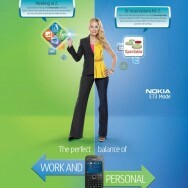 Stylist Sister Stephanie recently worked for Nokia creating the split personality below. I feel like this often. Bravo Steph!